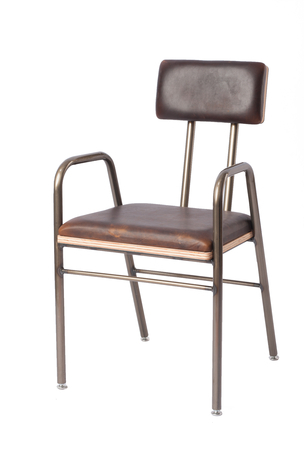 The Inland is a modern remake of the classic wooden ladder back dining chair. 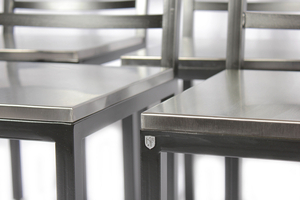 We make it in many different finishes to fit in with the rest of the surroundings or make it stand out. 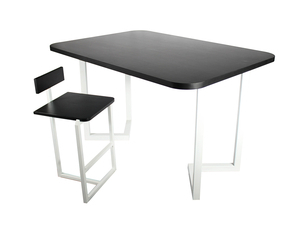 There is bar height, counter height, table height option. 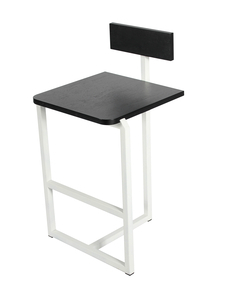 The seat is 16" square. 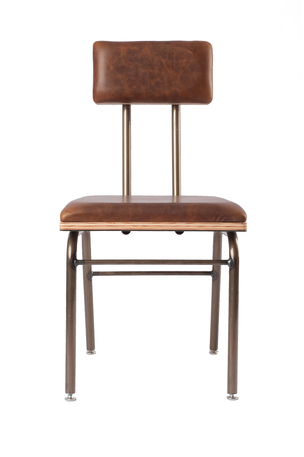 The Salem is a very simple yet comfortable stool. 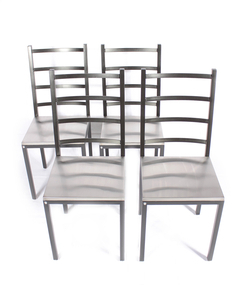 We make it in many different sizes and finishes to make it fit any decor and any placement. 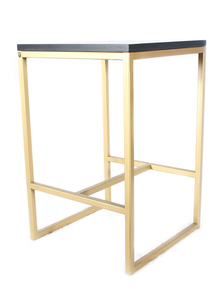 There is a bar, a counter and a dining height. 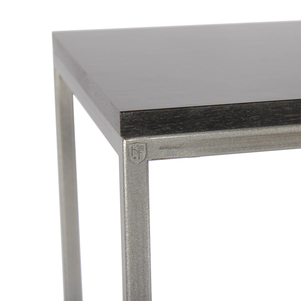 There is also a narrow, a small and large square size. 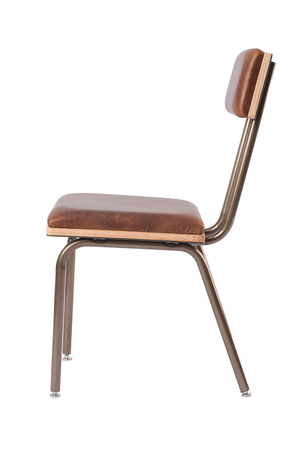 Also have a thick and a thin wood seat option. 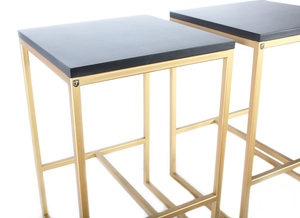 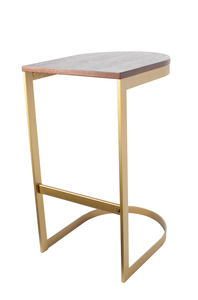 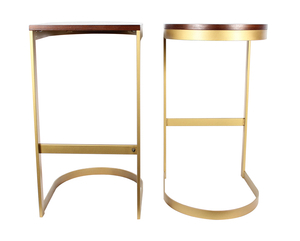 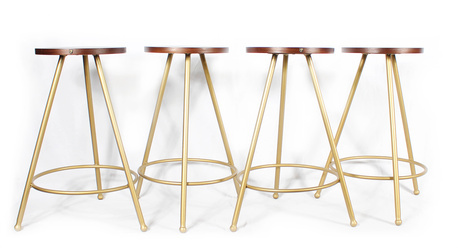 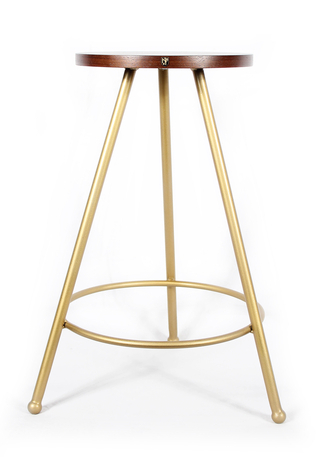 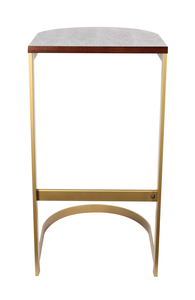 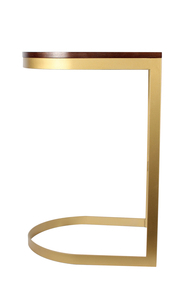 The Aubre is a stool with classic notes of the decades gone past. 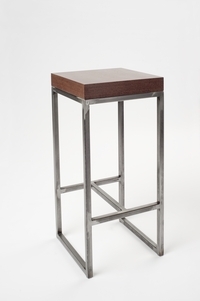 It is a cantilever metal stool with a simple wood seat. 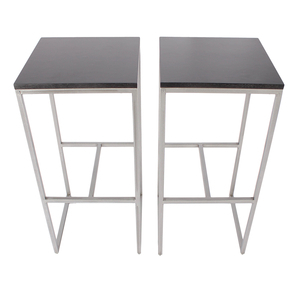 It is made in dining, counter and bar table heights. 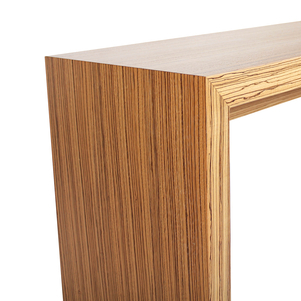 It is 16" Wide and 16" Deep. 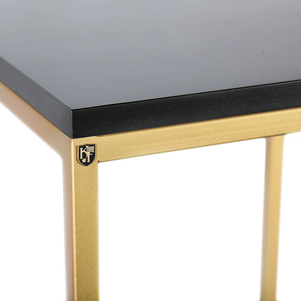 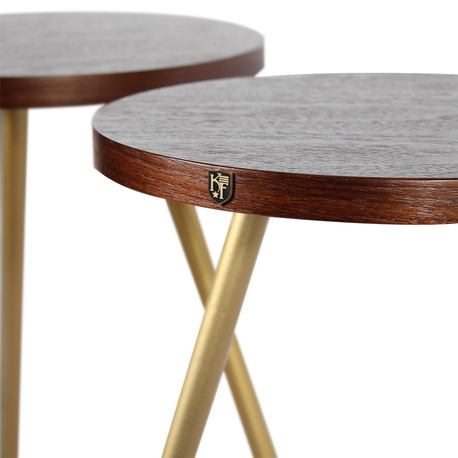 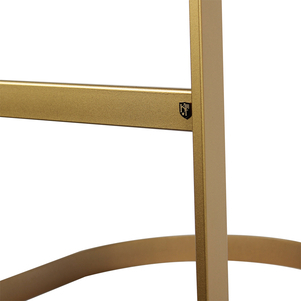 The Trinity stool was made to accompany the Trinity dining table. 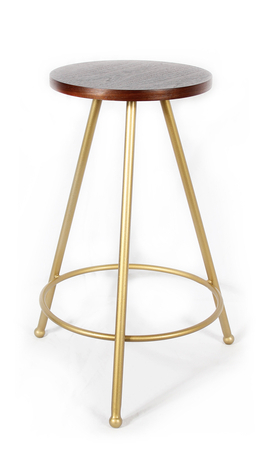 It is a three legged stool with a small backrest. 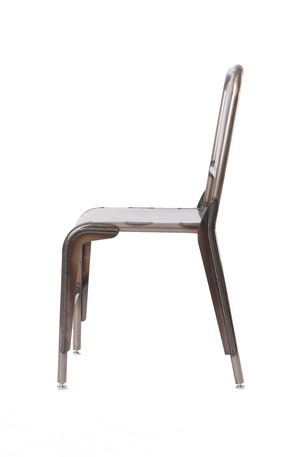 The frame is built from 1" steel tubing and has a 3/4" finished wood seat and backrest. 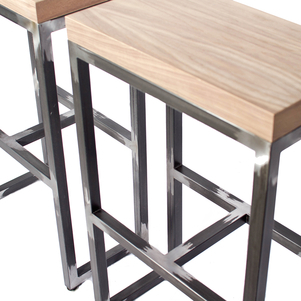 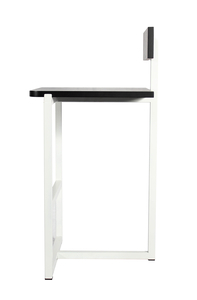 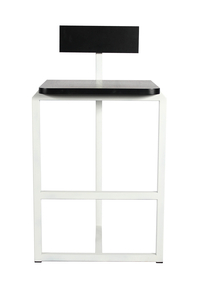 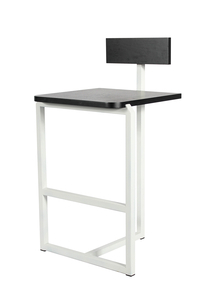 The Vaughn is a stool that is made dining, counter, or bar table height and has a three legged steel frame. 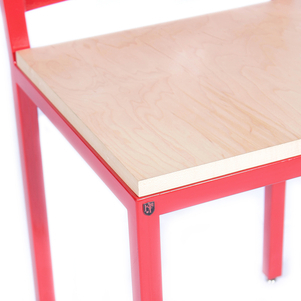 The seat is a 12" circle made from 3/4" thick finished wood. 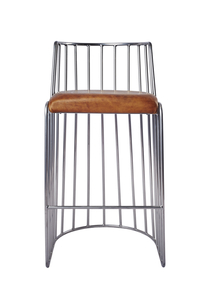 It has rounded ball feet and a circular footrest. 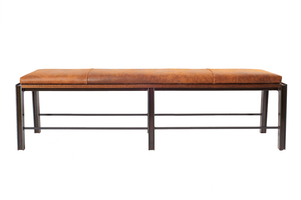 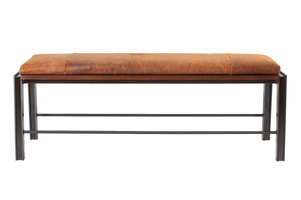 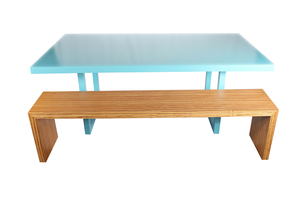 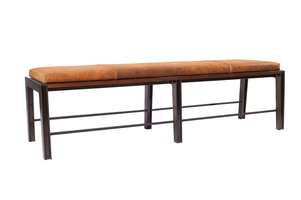 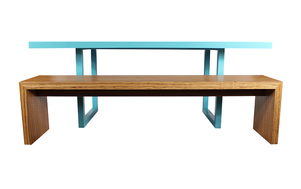 The Lawyer bench is a bench that sets itself apart with clean lines and sturdy stance. 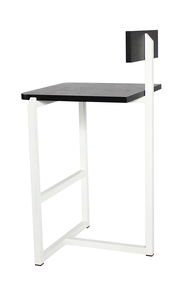 It is 18" tall and 14" deep and can be made up to 72" long. 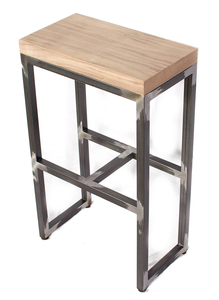 It is made from 1 1/2" thick finished wood. 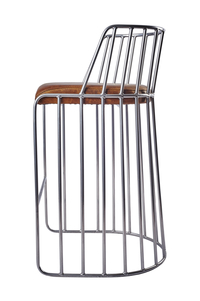 The "Douglas" is a chair that is made with a combination of 1" round steel and 14g sheet steel. 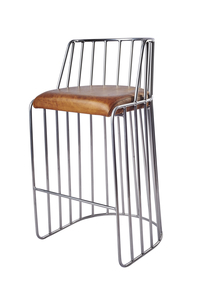 It has found itself being placed in small industrial style homes around a dining table and has found itself in upscale restaurants. 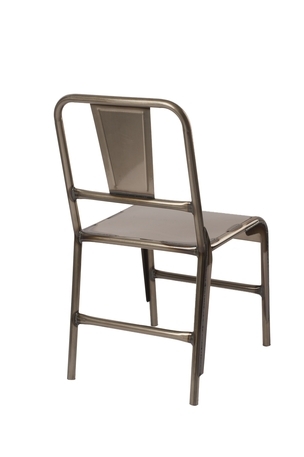 It is a very durable seating option that can be used roughly but still look the part of a design element. 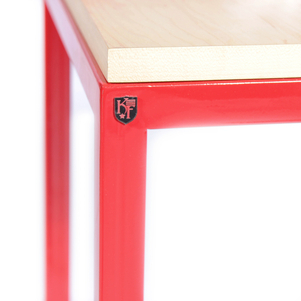 It has a powdercoated finish to add to it's strength and usability. 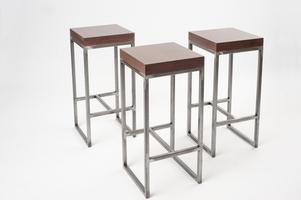 Our "Bars" stool is made up of 1/2" round steel. 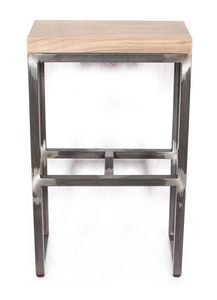 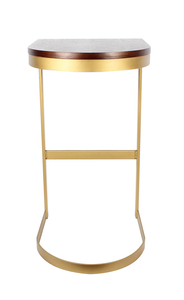 It is made in dining, counter, and bar table heights and can be paired with a leather or finished wood seat. 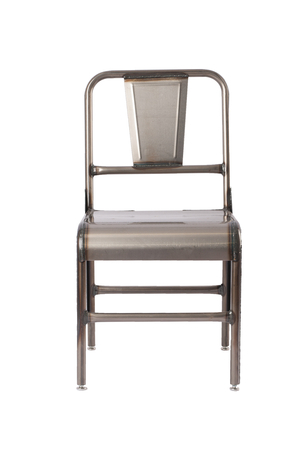 The seat is 18" wide and 16" deep. 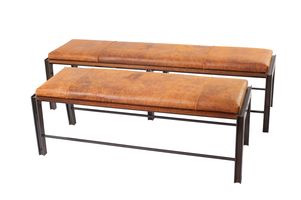 This is bench with three different kinds of steel. 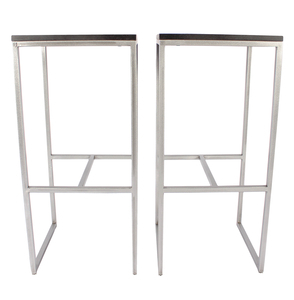 1/4" plate steel surrounds 1" square steel for the legs and 1/2" square steel makes the cross bars. 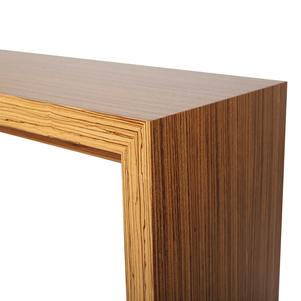 It has finished wood strips that hold the leather cushion in place. 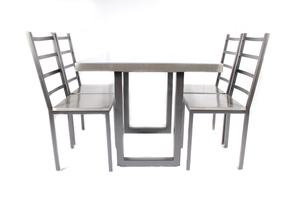 It is made in a three person or a five person configuration. 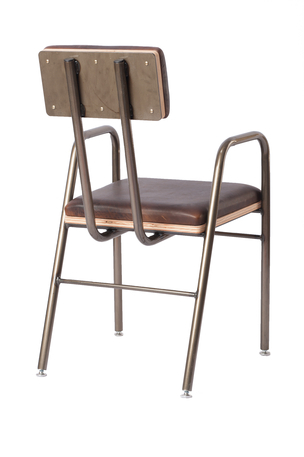 This is an over designed, modern version of the old school chair that we use to all use in our younger days. 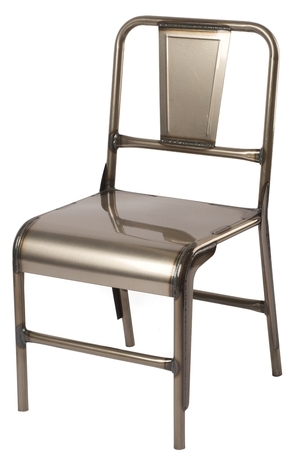 It is made up of a 1" round steel frame with 12g plate steel seat and backrest supports. 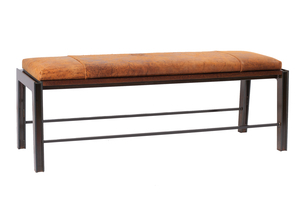 It is then layered with a leather cushion atop a piece of finished wood. 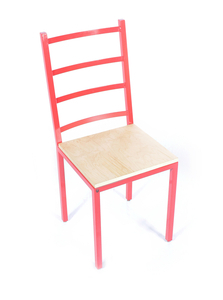 It is made with and without arms.